Northern California’s Wine Country is a majestic and serene place. The beautiful valleys and foothills adorn this corner of California with lush soil perfect for growing grapes and producing world class wines. 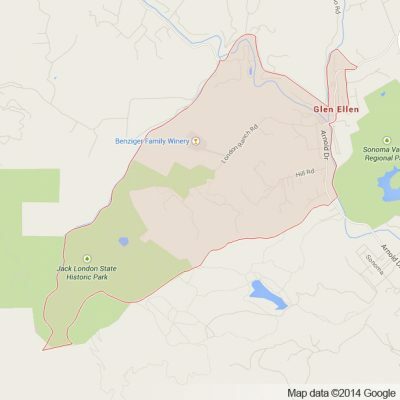 There are many different wineries and destinations within this area though a favorite is the exclusive and beautiful Glen Ellen. Glen Ellen is home to many incredible wineries and vineyards including Valley of the Moon, Mayo Family Winery, Benzinger Family Winery and B.R. Cohn Winery. These are some of the regions premier wineries that are definitely worth a visit. These wineries are complimented with world class restaurants such as The Glen Ellen Star, Yeti Restaurant, Aventine, The Glen Ellen Inn, The Wolf House and of course Olive and Vine. Visiting these restaurants will introduce you to the world respected cuisine of the region and showcase the incredible local agricultural output of the region. Glen Ellen is also home to one of the largest collections of temperate Asian plans in North America at the Quarryhill Botanic Garden. 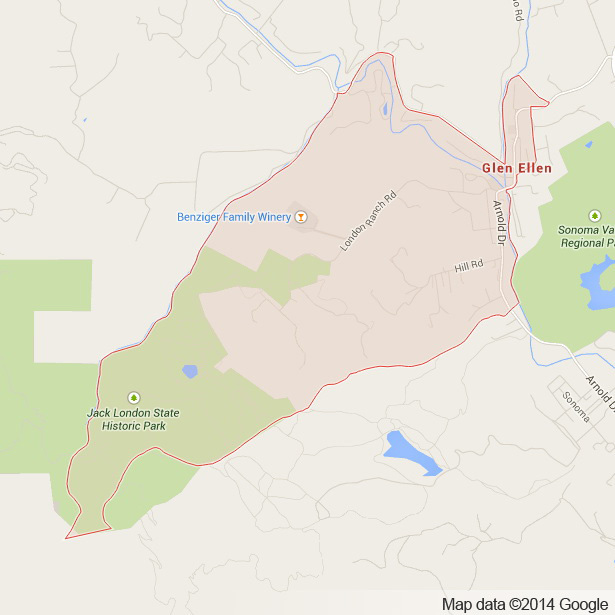 Other outdoor adventures are possible in Glen Ellen such as the Jack London State Historic Park. As the Bay Area leader in Napa Valley Wine Tours, Apex Limousine Transportation makes Glen Ellen a go to destination to see what the Napa Valley is really made of. When your work week is over and you and your friends are looking for a way to relax visiting Glen Ellen in one of our SUVs, Sedans or Limousines truly is the way to go. Our comprehensive limo services are customized to you and your parties specific tastes to make sure you experience all that the wine country has to offer in a way that fits your own tastes and desires. Our knowledgeable limo drivers will take you to the best restaurants, the most delicious wineries and of course the most majestic outdoor areas. Glen Ellen, as the heart of the wine country, can be part of a day long tour or the only destination itself. Only five miles away is Sonoma, largely considered one of the birthplaces of modern California. While the Bay Area showcases Northern California’s intriguing metropolitan appeal Glen Ellen is the heart of another major element of Northern California – it’s wine country. Sonoma Mountain is another outdoor destination for those who like to explore the beauty of Northern California’s natural landscape. The Fairfield Osborne Preserve is a diverse ecological study area that is home to incredible hiking trails. For anyone looking to make this incredible region the location for their wedding celebration Apex Limousine Transportation is here to help. We work closely with couples and wedding planners to ensure that your wedding celebration in Northern California’s wine country is as memorable as it is comfortable and luxurious. Our comprehensive luxury limousine transportation services will bring out the best in this impeccably romantic setting. No matter what it is you need limousine ransportation for – a wedding, junior and senior prom, a ride to one of the Bay Area’s airports (SFO, OAK or SJC) or limo tour of the Wine Country Apex ensures our services will meet and exceed your desires. At Apex Limousine Transportation we pride ourselves on being Glen Ellen’s go to limo transportation provider. So please join us and together we can make your wine country dreams come true – one ride at a time. Please call us for car service all inclusive total for Glen Ellen to/from Napa Valley transfer.